Contact us for basic quotes or any questions. We will get back to as soon as possible. 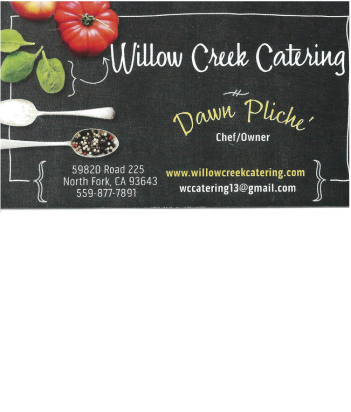 Thank You for considering Willow Creek Catering and we look forward to talking with you.